This past Thursday, Super League Clash Nights came out to FOUR different cities across the nation! 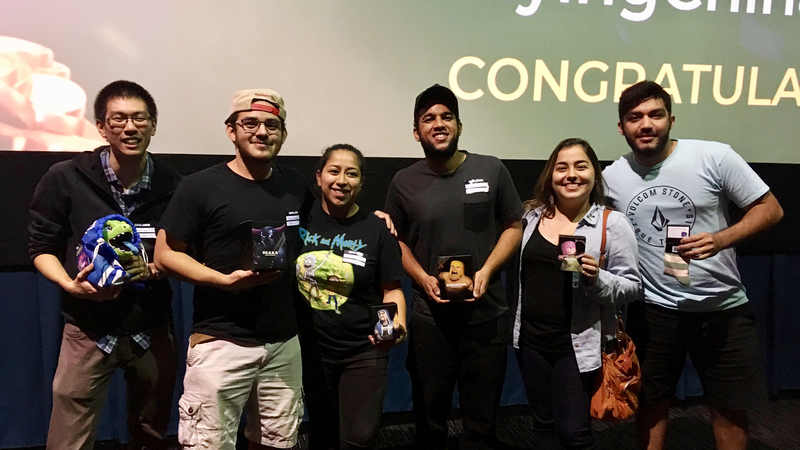 In addition to its return to Los Angeles, our Clash Royale community tournament launched in Boston, Dallas, and Denver. The kings of the night were Jaylion777 (Boston), Jonabchi (Dallas), Chen (Denver), and Blaze (Los Angeles). Check out their decks below! Boston’s clans came out to represent in the city’s first Super League Clash Nights, including the Boston Elite Clan and Tipsy King Clan. 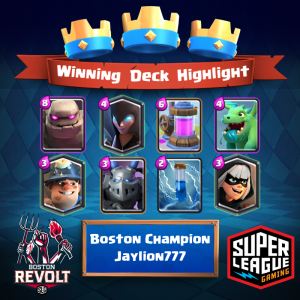 The finals came down to a fierce match between Jaylion777 and FlyingChinaMan, with Jaylion777 proving himself to be the king of Boston’s jungle. 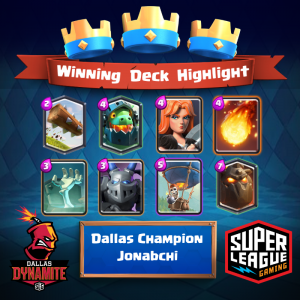 Dallas’ Clash Royale community fought fiercely until the very end. While erreTheBig secured his spot in the finals, Jonabchi and jun were tied for the chance to challenge him. However, Jonabchi not only won the tiebreaker but also took home the final victory! All princess towers came down in the first round of the finals with Chen taking the first win by mobbing Rizzy‘s king tower. 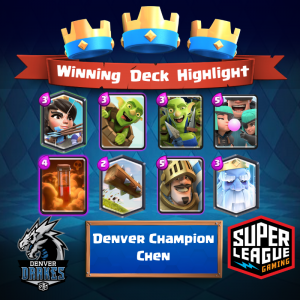 In the second round, Chen secured his win with ease and became Denver’s first Super League Clash Nights king! 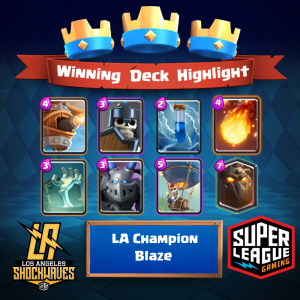 Despite being a newcomer to Super League Clash Nights, Flash climbed his way to the finals and challenged the veteran competitor, Blaze. However, with his 14-0 record throughout the night, Blaze took home the crown for the FIFTH time in Super League Clash Nights history. Relive the event through our stream on Super League TV!